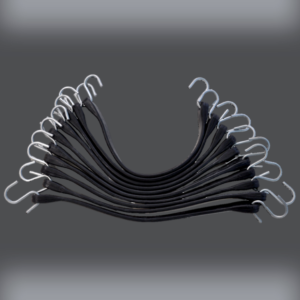 Take 15% off Our Rigging Loops! 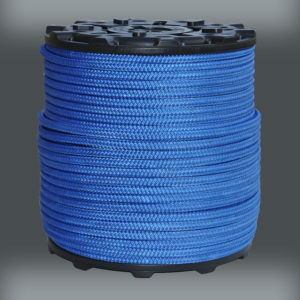 An extremely strong yet light weight endless loop with a tensile strength of 16,000 lbs. 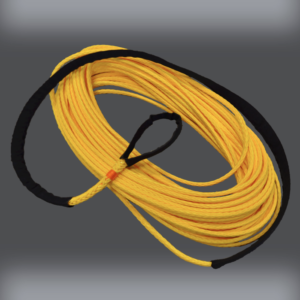 32-Strand Dyneema® High Tenacity Endless Loop for rigging, stepping, holding and bracing. An added premium husky coating allows excellent durability and abrasion resistance. Sewn for a no slip connection point. 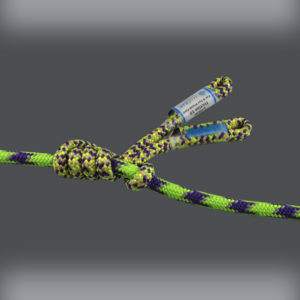 Endless Work loops for rigging, stepping, holding and bracing. 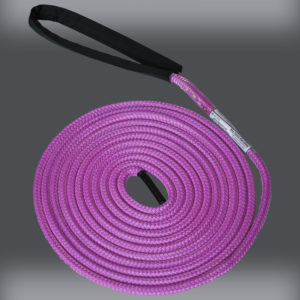 Made of Double Braid Composite Rope with a polyester jacket, nylon core and a premium husky urethane coating. The Husky coating allows great durability and abrasion resistance. 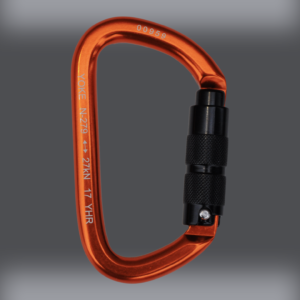 Take 15% off our NEW Pear Carabiner! 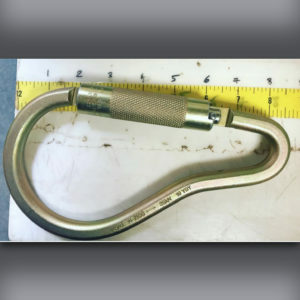 This is a self-closing and double locking pear carabiner, ideal for arborist rigging work. Made with heat treated alloy steel allowing an average break of 3,600 lbs. A twist locking gate provides safety and security when in use. Follows ANSI guidelines for tree climbers in the arborist industry. 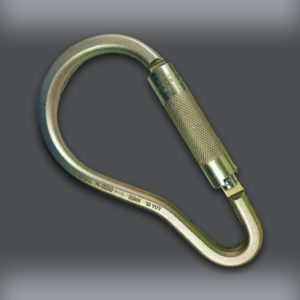 A carabiner with a double locking gate is opened by twisting and then pulling the gate inward to open. 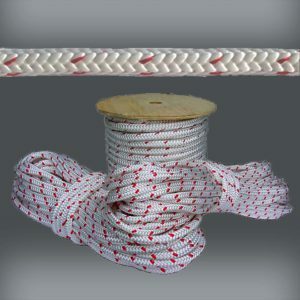 Take 10% off 1/2`` Rigging Rope! 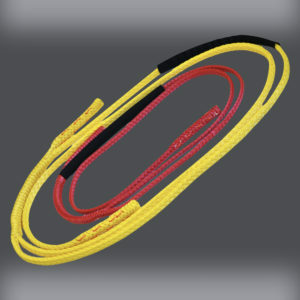 Double Braided Composite Bull Rope provides the best in abrasion resistance, break strength and energy absorption. 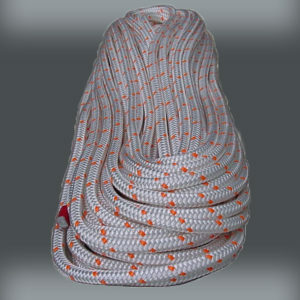 The “Husky Line” has a Polyester Jacket and a Nylon Core to exceed the break strength of Double Braid Polyester. Premium Husky Coating is applied to provide excellent resistance to abrasion. Branch Saver is an adjustable system used to brace limbs following ice/snow storms, wind storms and hurricanes. It saves the earths most valuable trees by holding a split branch in place allowing it to reseal. 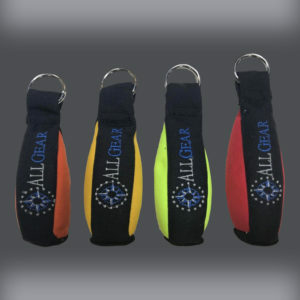 It is made with polyester material allowing it to be sun resistant, non invasive and durable. We recommend you also use Heavy Duty Chafe Sleeve around the tree portion; it will lay flat protecting the tree and allow abrasion resistance against rough bark. 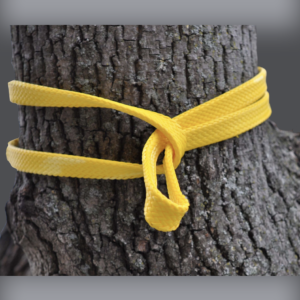 Branch Saver can also be used with classic Chafe Sleeve on trees with smoother bark. >>Scroll down for Brummel Splice Video! 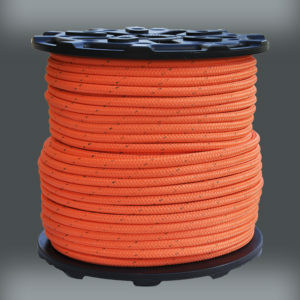 10mm Eye and Eye Prusik line with a Polyester and Technora Cover over a Vectran Braided Core. Excellent Heat Resistance when used as friction hitch. 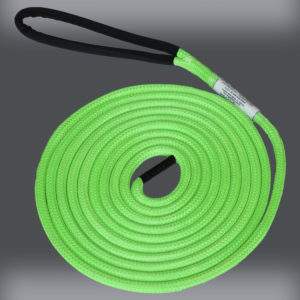 A 10mm Prusik Line in Lime Green, Yellow, Purple and Tan! Quality engineering and construction are guaranteed by premium fibers and excellent quality control. The “Friction 10” provides increased safety and a good firm construction keeping the line round for high performance. 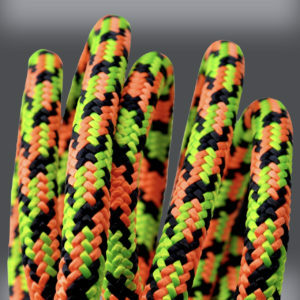 Royal Flush is a 7/16” / 11.2 mm 24-Strand polyester cover, a 16-Strand polyester core and a neon orange cabled and twisted center core. An Arborist line with the bright red, black and white. This narrow size runs smooth and quick through equipment and has a firm construction keeping the line round for high performance. A twisted core allows consistent firmness and easy climbing for arborists. 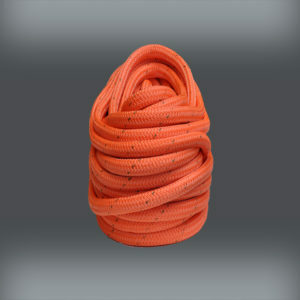 See our 11.5mm 7/16″ 24-strand rope – Rocket Line, Cherry Bomb, and Sunburst. 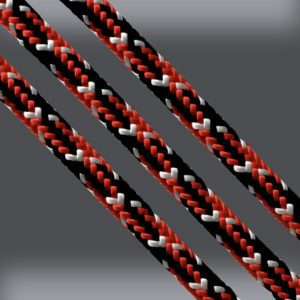 All Gear’s Inferno is 11.8mm 24-Strand Polyester Cover, a 16-Strand Polyester Core and a Cabled and Twisted Center Core. 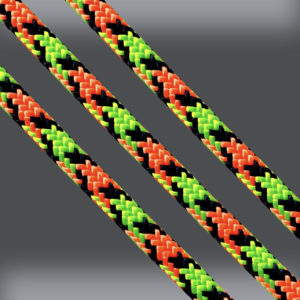 An Arborist Tree Climbing Rope with Neon Green and Orange with Dark Navy Tracer! Quality engineering and construction are guaranteed by premium fibers and excellent quality control. Inferno 11.8mm provides you with the ability to increase safety and a good firm construction keeps the line round for high performance. See also 11.8mm Mardi Gras, Cherry Bomb II or Blue Craze II. 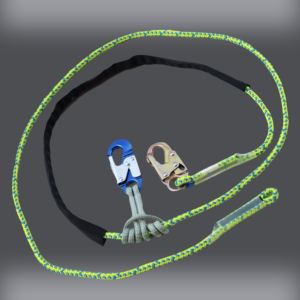 This is a self-closing and double locking carabiner, ideal for arborist work. Made with aluminum to allow an average break of 6,069 lbs. A double locking gate provides safety and security when in use. Follows ANSI guidelines for tree climbers in the arborist industry. 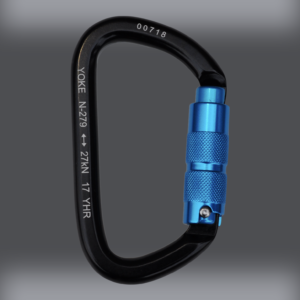 A carabiner with a double locking gate is opened by pushing the sleeve down, twisting and then pulling the gate inward to open. CLAIR stands for Climbing and Lowering Anchor with Immediate Rescue. 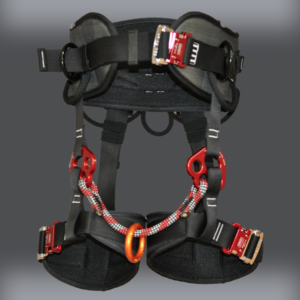 It is a rescue system made for climbing arborists. 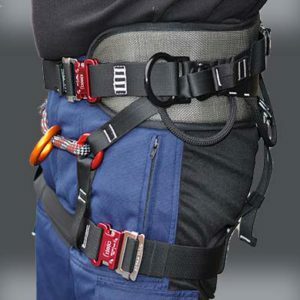 Allows a ground person to quickly lower an incapacitated climber to safety. 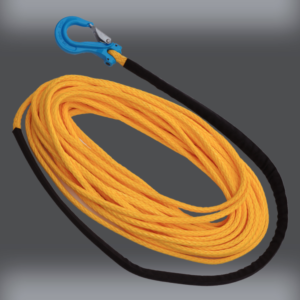 Key benefits include: Immediate Rescue – quickly lower your climber down to safety and great compatibility with Whoopie Slings and Prusiks. >>Click here to WATCH How-To Videos! 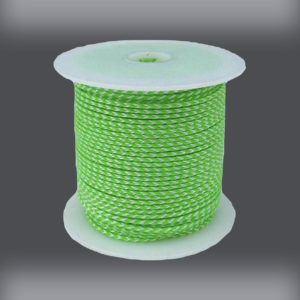 Made of double braid polyester cover and a HMPE (dyneema) core gives it an extremely high breaking strength and extremely low stretch, ideal for crane work. Husky urethane coating and a protective chafe sleeve for extended wear and abrasion resistance. ID tag to meet OSHA crane work requirements. 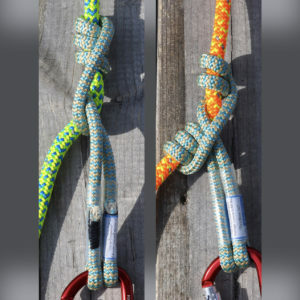 We recommend use in a set of 3 to balance limb with a Cow Hitch knot. Contact us for any custom lengths. 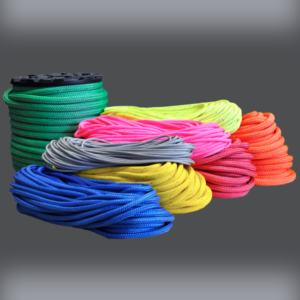 12-Strand Adjustable Polyester Endless Loop Slings for knotless rigging. 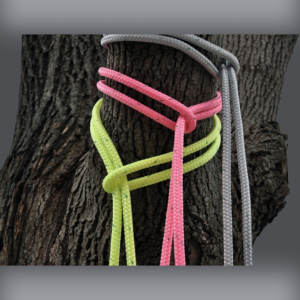 A continuous Loopie style sling is a great addition to a Speed Line rigging kit for arborists. All Gear’s Adjustable Polyester Slings have a Ballistic Nylon Outer Jacket at wear points for Extended Life. They also have a Premium Husky Coating to provide excellent resistance to chemicals, sunlight and abrasion. 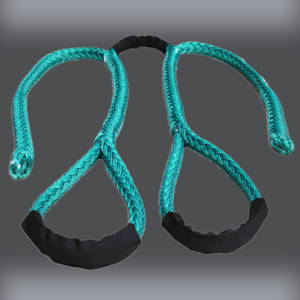 You may also like an All Gear Whoopie Sling or Adjustable Whoopie Sling w/ Double Head. Super light weight climbing saddle. Made out of breathable, quick dry fabric. Premium hardware. Designed for comfort with extra-wide supportive adjustable waist belt and leg loops. 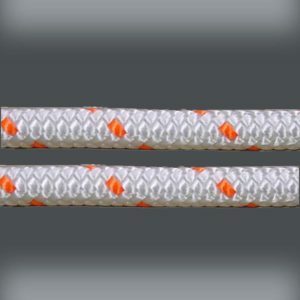 Pro 16 is a 16-Strand, white with neon orange tracer, polyester arborist/ working line. 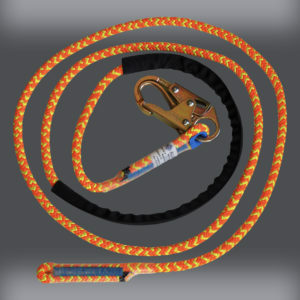 High visibility is critical to safety and ease for climbing. Premium fibers and excellent quality control allows Neolite to provide you increased safety and high performance. 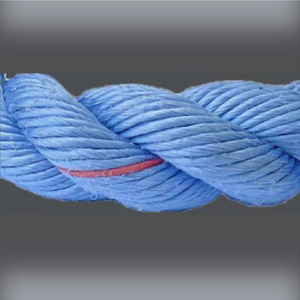 A good firm construction keeps the line round for durability, resistance to abrasion and snagging. 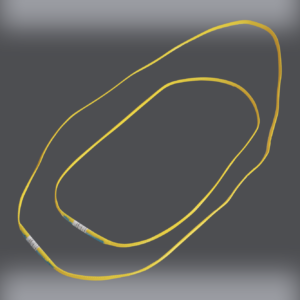 See our other 1/2″ 16-Strands – Safetylite and Neolite. 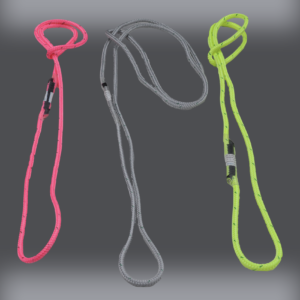 This Lanyard consists of a 16-Strand Polyester Line with Chafe Sleeve, Two Sewn Eyes (one with thimble) and a Steel Double Locking Snap Hook. Available in 7/16″ Neopro or 1/2″ Safetylite, Neolite and Pro 16. 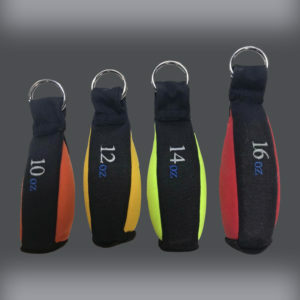 Plastic Thimble in sewn eye with Heavy Duty Steel Hook allows for extended durability. Quality engineering and construction are guaranteed by excellent quality control. 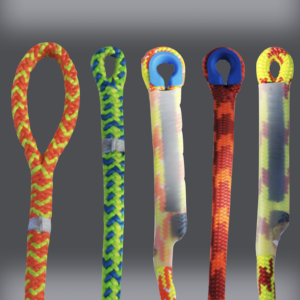 The “Extendable Safety Lanyard” provides you with the ability to increase safety with an Adjustable Prusik. Contact us for any further customization. 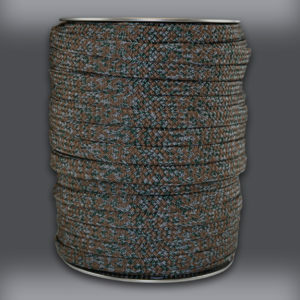 Dyneema® Polyethylene Throw Line is made to be extremely slick and strong. 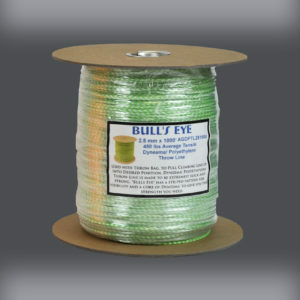 “Bulls Eye” has a striped pattern for visibility and a core of Dyneema® to give you the strength you need. 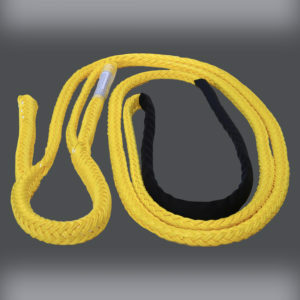 Double Head Eye Slings are made of 12-Strand Polyester coated in All Gear’s Husky Coating and covered with Chafe Sleeve. 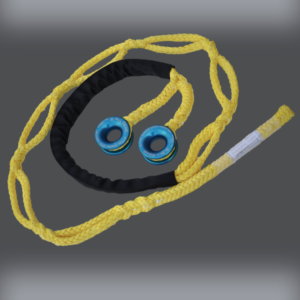 Two Large 1-1/8″ Low Friction Rings are installed with a Locking Brummel Splice. The Husky coating and chafe sleeve allows for excellent durability and resistance to snagging and abrasion. Quick and easy to install. 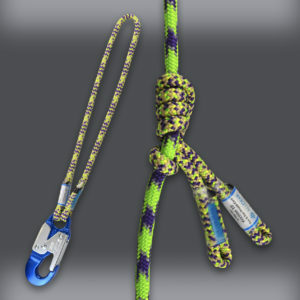 See also original Husky 12 Eye Sling. 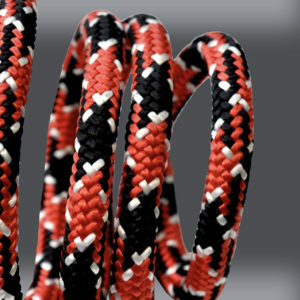 All Gear’s premium 12-Strand Hollow Braid Double Headed Soft Rig Sling. Used in place of a Block & Pulley, this sling is much lighter and set to a working position in seconds. With no rig points, this sling adjusts to fit any diameter limb with protective chafe sleeve at the wear points. Multi-functional uses include redirects & multiple rigging points. Each hank comes with 4′ of Protective Chafe Sleeve on the line with a reinforced eye or steel hook. A great line for pulling tree branches into chippers. 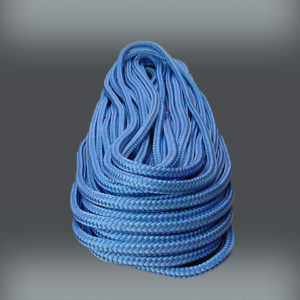 Swift Line is UHWMPE (Ultra-High-Weight-Molecular Polyethylene), or HMPE for short, a rope with outstanding strength. 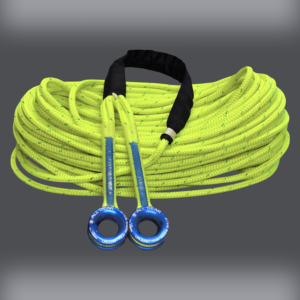 This Winch Rope has a break strength greater than Wire Cable! It also provide you with – great abrasion resistance, high visibility, a light weight, flexibility, no snap back if a break does occur, the ability to use with bare hands and it floats! 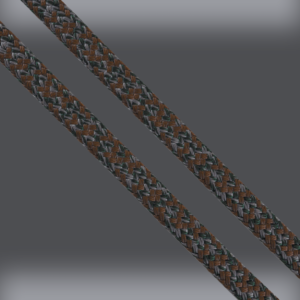 Click here to see more sizes of HMPE Swift Line. Happy Spring! 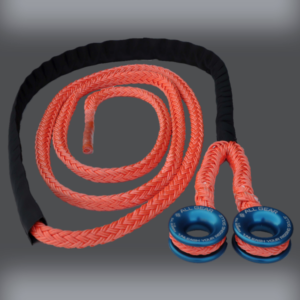 Take 15% off select sizes of Husky Bull Rope! Sophie- Thank you for the time you spent with me to get the gear we requested. I greatly appreciate the price matching and the quick responses. I couldn’t ask for a more responsive and efficient transaction. I will be returning to EngineeredRope for future purchases! Very happy with the bright colors in Mardi Gras. 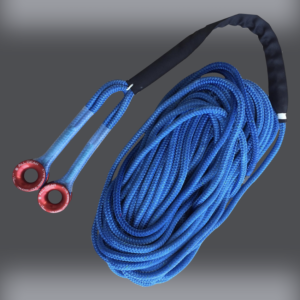 It has been a great rope to climb on with my rock exotica unicender.